With Krishna Pushkarams just 20 days away, Government and the contract company of Durga Flyover are making sure that the four lane round from Kmmaripalem,to Bhavanipuram would be ready by this month end. District administration is very keen on completing the four lane connect road. Taking in view of pushkarams, the contract company has concentrated on building the road, than the flyover. So all the pillar works are stopped and the complete focus is on completing the four lane road. 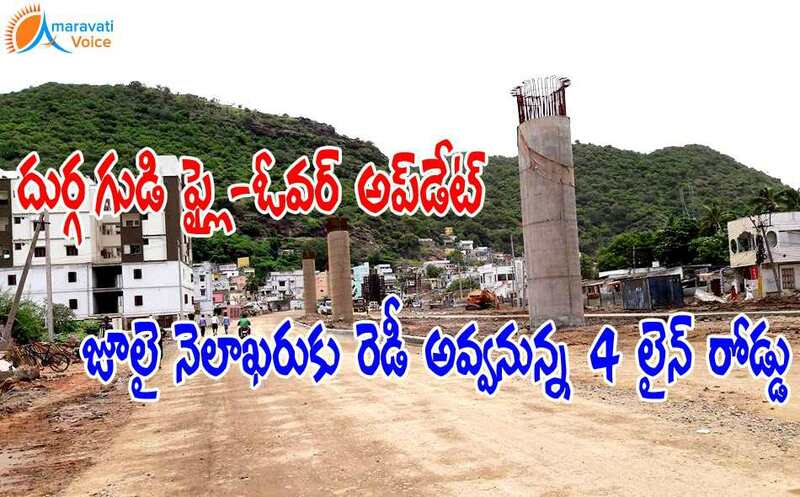 Pillar Laying works would be resumed after Pushkarams. As the four lane highway road would be connecting Kummaripalen and Prakasam Barrage adjacent to the main bathing ghats, this would be very helpful and comfortable to the pilgrims. Also the road connecting Gollapudi and Chitti Nagar is also being widened. This would be used as an alternative route.